Turmeric has long been lauded for its health benefits in Ayurvedic cookery. Turmeric is one of the cornerstones of Indian cookery. But research also suggests that the bright yellow aromatic powder obtained from the rhizome of the Zingiberaceae plant is also one of the most powerful plants in the world when it comes to promoting better health. 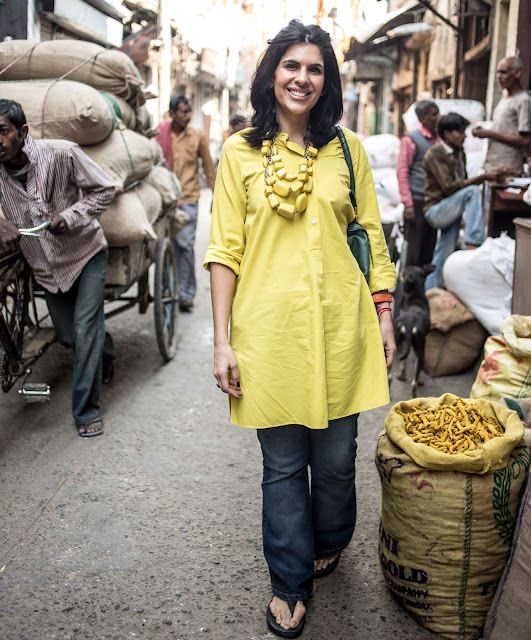 British chef Anjum Anand was one of the first writers to create and write Indian recipes catering for the health-conscious cook. Anand’s Eat Right For Your Body Type adheres to the principles of Ayurveda, the traditional Hindu holistic practice of medicine based on the idea of balance in bodily symptoms. Speaking from her base in London, Anand, whose parents migrated to the UK from the Punjab some 50 years ago, says the health-giving properties of turmeric has been gaining widespread interest in the scientific community as researchers discover what Indians have known for thousands of years: that curcumin, the active ingredient in turmeric, could help ward off Alzheimer’s disease, prevent cancer, reduce the risk of heart attack and strokes, fight common cold and flu, aid weight loss and inhibit anti-inflammatory diseases. “Turmeric is known as the ‘golden Goddess’ in India where Ayurvedic doctors have been weaving it into our meals for more than 4000 years so as to realise its benefits. 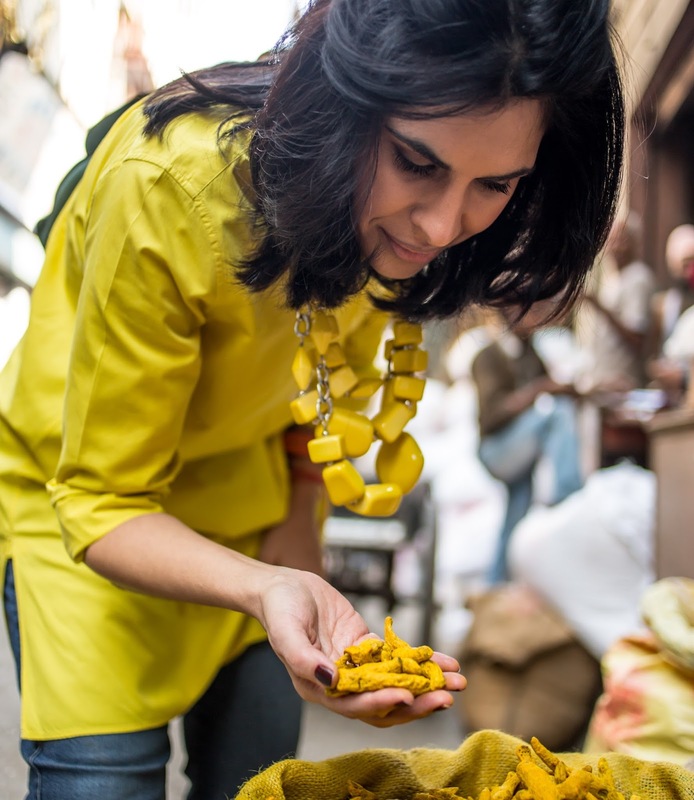 They also advised simple home-style remedies such as using turmeric paste on wounds and bumps as an anti-inflammatory and antiseptic,” says the 42-year-old food writer and TV cook and creator of The Spice Tailor range of sauces. shows it seems to have had a positive effect." "If my children have a cold, I add turmeric to milk with honey and to water with salt for a sore throat. It is also really good for the skin … before an Indian bride gets married she will spread a mixture of gram flour, turmeric, oil and water all over he skin. After a few hours they wash it off and have glowing skin on their wedding night,” she says. Cancer researcher Ralph W. Moss, an expert on conventional and alternative cancer treatment believes that lifelong curcumin intake may explain why the cancer mortality rate is so low in countries such as India and Sri Lanka where curcumin is consigned to the daily diet. He says his research confirms the Ayurvedic belief that turmeric is a natural anti-inflammatory, inhibits the growth of new blood vessels in tumours and is a powerful antioxidant. The American Journal of Cardiology has also found that turmeric extract reduces post-bypass heart attack risk by 56 per cent. Studies have also shown curcumin stimulates the gall bladder and produces bile, which helps to control weight gain and was proven to be as effective as Prozac in alleviating the symptoms of depression in a study of 60 patients. You can grate turmeric, take it in supplement form or drops or use the dried powdered root. And while nutritionists claim it is difficult to reach the required dosage of curcumin by taking the spice in your foods alone, Anand recommends ingesting it both in its natural form and as a supplement but to do so regularly in order to get the real benefits. Anand prescribes adding ½ to ¾ teaspoon to mashed, sautéed or boiled potatoes, into cooking rice and risotto, in soups, stews, stocks and curries, in a cheese sauce or soufflé. She also mixes it with olive oil and salt to marinate fish and adds it to scrambled eggs and frittatas, stir-fries and noodles, teas, hot milk and porridge.